The Perfect Baby Journal For Your Employees! 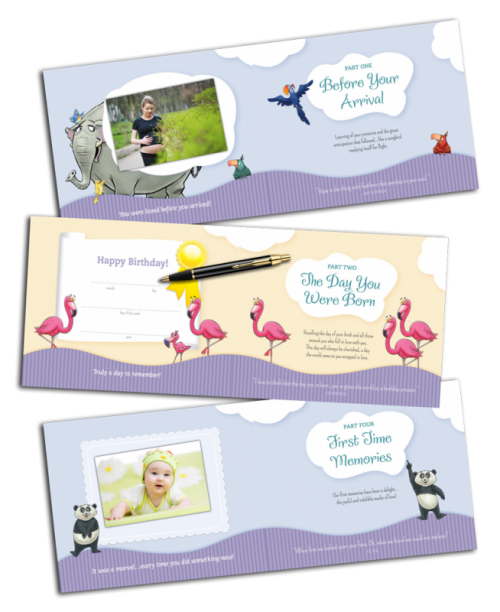 Help employees record their child's wonderful journey. 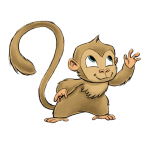 Rapid changes in an infant’s development begin immediately and every memory counts. 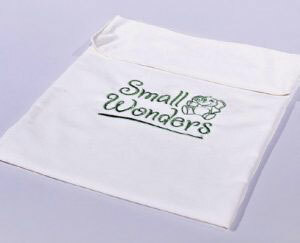 Small Wonders helps parents to record all their child’s precious “first times” in words and pictures. 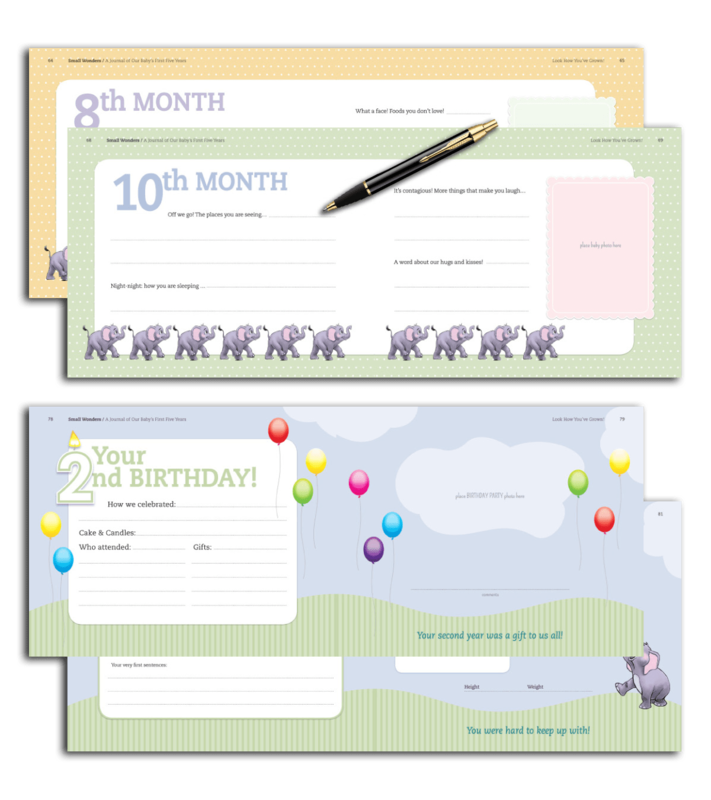 Small Wonders also provides a special section in which the family can record month-by-month milestones, plus five years of birthday details, photos, and write-in areas, including two pages dedicated to their child’s first day of school. 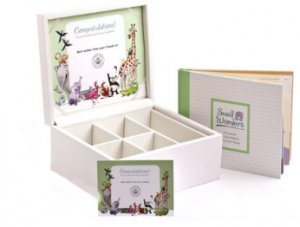 As part of a company congratulatory program, the Small Wonders volume can be presented to recipients inside a beautifully detailed keepsake chest, complete with a memorabilia compartment, a personalized lid insert, and a congratulatory card. 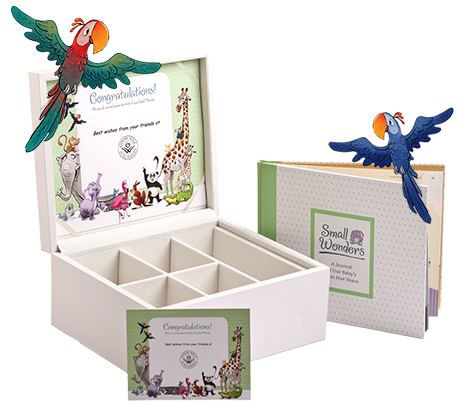 As an alternative to the chest, the Small Wonders volume can be presented in an embroidered velour pouch accompanied by a personalized congratulatory card. Pricing options include volume discounts.